Will 2012 Be The Year That We See Mass Starvation In Africa? Tonight millions of American families will shovel huge piles of food into their mouths without even realizing that starvation is rapidly spreading in Africa. Right now Somalia, Ethiopia and Kenya are experiencing the worst drought conditions that they have seen in 60 years. Tens of thousands of African families have abandoned their homes as they desperately search for food and water. 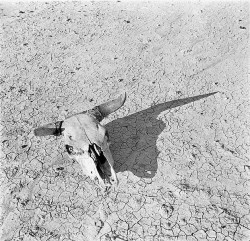 Hundreds of thousands of farm animals have died because of the drought. Considering the fact that approximately two-thirds of the people living in the region “make their living by raising goats, sheep, cattle and camels“, the word “catastrophic” just is not sufficient to describe what is happening. Every single day, thousands more head to Dadaab, the biggest refugee camp in the world. Dadaab was originally designed to hold 90,000 people, but now over 360,000 precious people are camped there. In addition, approximately 30,000 desperately hungry people are standing outside the fences waiting to be admitted. It is projected that by the end of the year there will be over a half million people living in Dadaab. Sadly, this is just the beginning. According to the United Nations, there are already 10 million people in the region that are facing severe food shortages, and many fear that if the drought continues we could actually see mass starvation in Africa in 2012. Hopefully the world will be very generous as they hear about what is happening in the Horn of Africa. But the truth is that food is getting tight all over the globe. Last summer an unprecedented heat wave caused Russia to put restrictions on the export of wheat. Some of the key agricultural areas of China, Pakistan, Brazil and Australia have experienced unprecedented flooding over the past 12 months. Natural disasters have hit U.S. crops hard in many states as well. Crop diseases such as UG99 wheat rust continue to spread. The world continues to lose topsoil at an alarming rate. Things simply do not look promising. Meanwhile, the price of oil has absolutely soared over the past year. The methods that we use to produce and transport our food take a lot of oil. If the price of oil continues to climb that is going to make it very hard to feed the entire planet. Most Americans have no idea how desperate things are becoming in many areas of the globe already. Just check out what a recent article in The Guardian had to say about the situation at Dadaab…. Every day 1,000 Somalis stream across the Kenyan border to Dadaab, which is full to bursting with 367,000 people and already constitutes the largest refugee settlement in the world. They arrive malnourished and dehydrated but – after a walk lasting weeks – grateful that they have made it to a point where they will get food and water. Sometimes words alone are not enough to convey an accurate picture of what is really going on. Take a couple of moments to watch the video posted below. Imagine if you and your family had to go to a camp like this…. Sadly, the suffering is not limited to one refugee camp. There are millions of Africans that are now in danger of starvation. A recent article in The Telegraph described how bad things are getting in parts of Somalia, Ethiopia, Kenya, Djibouti and Uganda…. “Two consecutive poor rainy seasons have resulted in one of the driest years since 1950/51 in many pastoral zones,” Elisabeth Byrs, spokeswoman of the UN Office for the Co-ordination of Humanitarian Affairs, said. “There is no likelihood of improvement [in the situation] until 2012,” she added. A lot of these people don’t have any money. If aid was not rolling in from elsewhere they would be dropping dead all over the place. Food prices are rising so quickly in these areas that it is becoming difficult for anyone to be able to afford to buy food. TEAR Fund executive director Steve Tollestrup says that food prices in the region are really getting out of control….. In some areas of the Horn of Africa we are starting to see food riots. For example, the following is a very brief excerpt from a recent Reuters report…. Kenyan police fired tear gas to disperse people protesting in the capital on Thursday against high food and fuel prices and a shortage of maize which has enraged many in east Africa’s biggest economy. When people cannot even feed themselves they have nothing left to lose. Today, there are approximately two billion people that spend more than half of their income on food. So what are they supposed to do when the price of food doubles? Are they supposed to spend every penny they have just on food? Most Americans have no idea what it is like to have to scratch and claw just to survive each day. There are hundreds of millions of people around the globe that are engaged in a desperate struggle to survive. Meanwhile, the speculators and the big Wall Street banks feel no guilt at all when they drive up the price of food in order to make a few extra bucks. Look, the truth is that what we are seeing in Africa right now is just the beginning. When the global economy crashes, things are going to get a lot worse. Right now a significant percentage of the global population can barely afford to buy enough food to eat. Most people do not realize this, but when the global financial system totally collapses there is a very real possibility that we could see mass starvation. The following are 12 signs that the world is running out of food…. #1 More than 3 billion people, close to half the world’s population, live on less than 2 dollar a day. #2 Over the past year, the global price of food has risen by 37 percent. #3 Just about every major agricultural commodity has been skyrocketing in price. Check out what a recent Bloomberg article had to say about what has been happening to many key agricultural commodities over the past year…. Corn futures advanced 77 percent in the past 12 months in Chicago trading, a global benchmark, rice gained 39 percent and sugar jumped 64 percent. There will be shortages in corn, wheat, soybeans, coffee and cocoa this year or next, according to Utrecht, Netherlands-based Rabobank Groep. Prices also rose after droughts and floods from Australia to Canada ruined crops last year. European farmers are now contending with their driest growing season in more than three decades. #4 According to the World Bank, 44 million more people around the globe have been pushed into extreme poverty since last June because of rising food prices. #5 Sadly, rising food prices is not a new trend. According to the UN Food and Agriculture Organization, the global price of food has gone up by 240% since 2004. #6 To a large extent, this global food crisis has been brought on by the greed of the wealthy. A study by the World Institute for Development Economics Research discovered that the bottom half of the world population ownsapproximately 1 percent of all global wealth. #7 The average income per person in the poorest countries on the continent of Africa has fallen by one-fourth over the past twenty years. #8 It is estimated that over 80 percent of the world’s population lives in countries where the income gap between the rich and the poor is widening. #9 Approximately 1 billion people throughout the world go to bed hungry every single night. #10 Every 3.6 seconds someone starves to death and three-quarters of them are children under the age of 5. #11 It is estimated that the entire continent of Africa only owns approximately 1 percent of the total wealth of the world. #12 According to the most recent “Global Wealth Report” by Credit Suisse, the wealthiest 0.5% of the global population controls over 35% of all the wealth on the planet. Those of us that live in wealthy countries have it really good. We get to shovel huge amounts of food into our faces whenever we want. But eventually things are going to change for us as well. Global food supplies are getting really tight. If something does not change we are going to have some real problems. Renowned investor Jim Rogers recently put it this way…. We all saw what happened during the aftermath of Hurricane Katrina and during the aftermath of the tsunami in Japan. When a major crisis occurs, food can disappear from store shelves overnight. The frightening thing is that global stockpiles of food continue to go down. Just check out this report from a recent Financial Post article…. Global stockpiles of corn, the most-consumed grain, are forecast to drop to 47 days of use, the fewest since 1974, data from the U.S. Department of Agriculture show. Inventories are declining as demand continues to outstrip production that’s forecast to rise to a fifth consecutive year of record. Most Americans simply do not understand how close we potentially are to a major global food crisis. Hopefully we will not see one any time soon. But you might want to get ready just in case.